PageTurn 3D Gallery is a plug-ins for Adobe Lightroom which allow making instant gallery. Now photographers can make their own 3D PageTurn gallery without using Flash. With extremely "easy-to-use" interface, just a few click from the interface to create a gallery. And that's it! You just need 1 mintue to convert your photo collection to 3d Page Turn gallery with realistic touch and page turn effect. User can customize the gallery for background color, styles, navigation menu, site title by css. 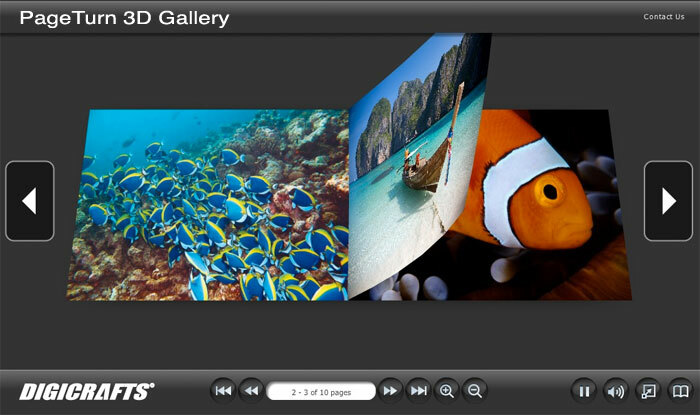 FotoFlow Gallery provide over 40+ parameters to customize your gallery. All changes can be preview in the WYSIWYG Live Preview Panel in Lightroom. Gallery included a easy to use navigation bar. It allow user to navigation thought the book. User can switch the gallery to full screen or original size at anytime. Best for presentation or showcase your images. The gallery included slide show feature which allow the automatic slide show with page turn effect. The gallery support adding pdf file or web link for visitor to download. The gallery allow adding background music. Support mp3 format. Integrated FTP function made the gallery can directly connect and upload to your web server. Connection information also can save for other applications. Easy to Install - FotoFlow Gallery comes with self-extract installer which copy the plug in into Lightroom automatically and create shortcut for help documents. 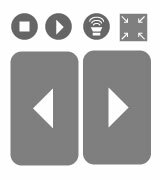 Custom Control Bar Icon- FotoFlow Gallery comes with self-extract installer which copy the plug in into Lightroom automatically and create shortcut for help documents. Custom Background Image - FotoFlow Gallery comes with self-extract installer which copy the plug in into Lightroom automatically and create shortcut for help documents. XHTML Complliant - The HTML generated by this plug-in is XHTML-Compliant. Photoshop Lightroom 2.0 for authoring (Windows or Mac). Safari, FireFox and Internet Explorer with Flash Player 9 player.